Description: Town home of Capt. 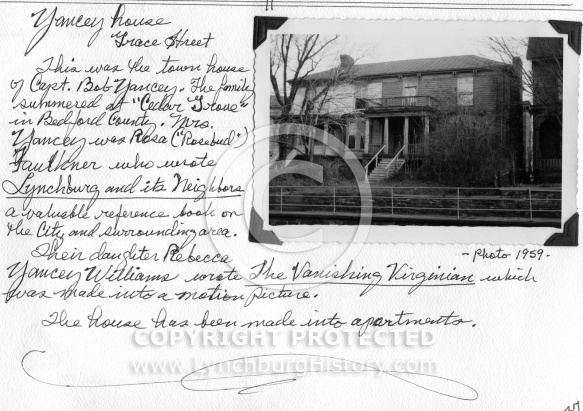 Bob Yancey and his wife was Rosa Faulkner, who wrote the book "Lynchburg and its Neighbors". Their daughter Rebecca Yancey Williams would write "The Vanishing Virginian". They summered at Cedar Grove in Bedford County. The Yancey house has been converted into apartments.